Prefuse 73, the beat-making moniker for the innovative and prolific producer Guillermo S. Herren, has released his first solo album in three years Sacrifices via Lex Records. Following a detour into fractured, kaleidoscopic hip-hop on recent releases, Herren has become increasingly interested in injecting a sense of space into his characteristically complex productions. The resultant 17-track collection is akin to watching an old photograph deteriorate in one’s hands, as otherwise dense beats dissipate into airy expanses of emotionally resonant electronics. Its effect is not unlike attempting to recall a murky memory of a dream of Herren’s earliest works, imbibed with the subtlety of modern minimalism. 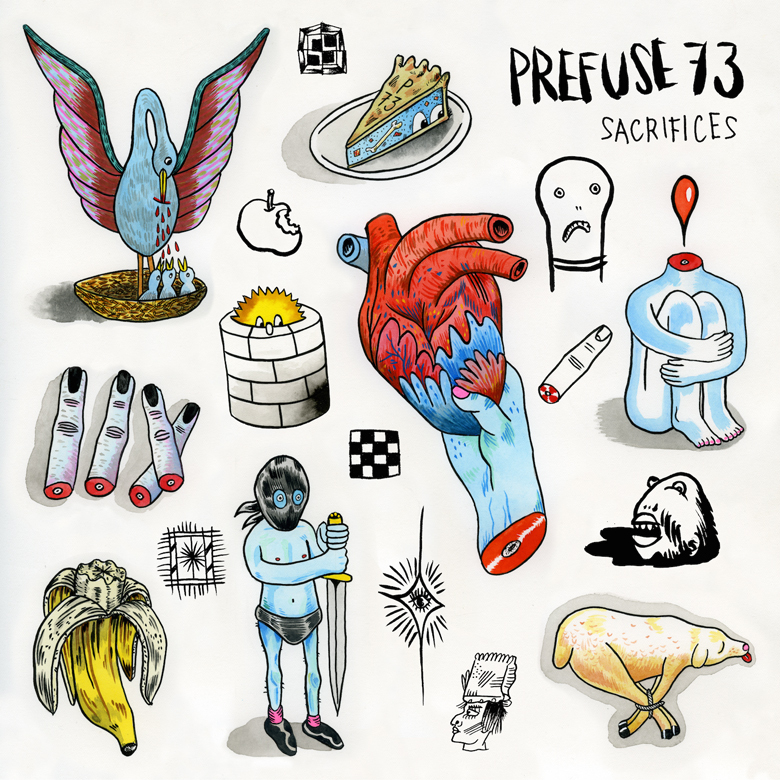 Prefuse 73 has long been distinguished for an unparalleled ability to merge the manic to the melodic, treating head-bobbing hip-hop productions to prismatic editing techniques while retaining a hummable, evocative consonance. His trailblazing early albums altered the course of underground music and influenced the paths of countless artists, though few could emulate his uncanny skill for evoking urgency via virtuosity. But Sacrifices presents a new terrain for the enigmatic Herren, a reinvigorated progenitor unafraid to swap his trademark freneticism for patient sonic pointillism, casting his penchant for beat making in an atmospheric new light. Stream Sacrifices in its entirety below. You can cop it on iTunes.